Our multipurpose straight glass jars with plastic lids work well for countless commercial and personal uses. 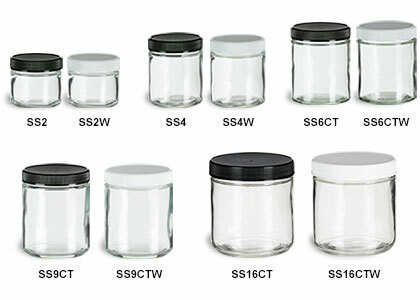 In four convenient sizes, this series of jars is well suited for the healthcare, lab, cosmetic and food industries. All prices include either a black or white lined plastic lid.